The heedful squirrel daddy needs to collect nuts and to feed his only baby. If he won't do it, the poor child may die from starvation. 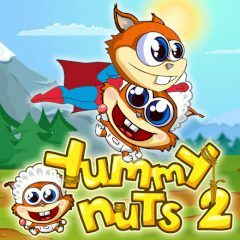 Help the squirrel to collect all nuts in all levels. Avoid falling down or flying too high.